Alliance to Save Energy - A nonprofit coalition of prominent business, government, environmental, and consumer leaders who promote the efficient and clean use of energy worldwide to benefit the environment, the economy, and national security. Antonio Juhasz - A leading oil and energy expert; a policy-analyst, author and journalist. Juhasz is the author of three books: Black Tide (2011), The Tyranny of Oil (2008), and The Bush Agenda (2006). Artists Against Fracking - Works to expose and stop the harmful and contaminating practice of fracking for natural gas and oil through mass awareness and peaceful democratic action. Blackout History Project - An on-line investigation of famous power failures in NYC in 1965 and 1977. Materials in digital archives are combined with on-line contributions of blackout survivors to explore those events and larger issues (dependence on electricity & technology, social history of 60s & 70s, large technological systems). Citizen Power - Supports the Campaign for Public Power, a coalition of groups working for public power in California. Culture Change - Demonstrating alternatives to sprawl and petroleum dependence while fighting new road construction providing concepts and solutions involving the entire community. Deepwater Horizon Oil Spill in Gulf of Mexico 2010 - The United States District Court Eastern District of Louisiana Section J - Judge Barbier, maintains a website, which includes important dates, and copies of orders. In addition, the Plaintiffs' Steering Committee has a website that includes important orders, transcripts of status conferences before the Court and important dates and events. Also see NOAA Deepwater Horizon Oil Spill page. Dirty Energy Money - Provides an interactive tool that tracks the flow of contributions to the US Congress. Find out which companies are pumping their dirty money into politics and which politicians are receiving it. E&E News - Environmental and energy policy news and anlysis. E&E Daily - Tracking Congress, legislation and politics. EnergyWire - How markets, policy and technology are changing the oil, gas and electric utility business. GreenWire - Energy, environment, and natural resources news. Electricity Daily - Covers the electricity business in the U.S. and abroad. Electricity Deregulation - OpenSecrets.org backgrounder on issues relating to the delivery of electricity in the U.S.
Electricity Policy - Electricity-related energy and environmental topics. Energy Central - A hub on the Internet for electric power professionals searching for information, products and services related to the energy industry. Energy Desk - Energy news and dispatches from Greenpeace. Energy Citations Database (1948 - Present) - Designed and developed by the U.S. Department of Energy (DOE) Office of Scientific and Technical Information (OSTI) to provide easier and faster access to the Department's scientific and technical information. Energy End-Use Forecasting (EPU) - Provides extensive analytical support for the U.S. Environmental Protection Agency's voluntary ENERGY STAR programs. Compiles technology data for all major end-uses in residential and commercial buildings. Issues reports related to technology adoption and defining resource potentials for efficiency and renewable power supplies. Assesses the physical aspects of computing and communication network systems, and their associated resource flows and environmental impacts. Energy Glossary - From the California Energy Commission. Energy Tutorial - Subjects include fossil fuels, oil shale, nuclear, solar, wind, geothermal, biomass and wastes, hydroelectric, fuel cell, combustion, gasification, reciprocating engine, and turbines. EnergyOnline - Provides various databases useful for the electric/gas utilities/planners. News, forecasts, models, and reports. Environmental Markets Association (EMA) - US-based trade association focused on promoting market-based solutions for environmental challenges through sound public policy, industry best practices, effective education and training, and member networking. EMA represents a diverse membership including large utilities, emissions brokers and traders, exchanges, law firms, project developers, consultants, academics, NGOs and government agencies. Promotes market-based trading solutions for environmental management. European Commision: Nuclear Energy - Nuclear power plants generate almost 30% of the electricity produced in the EU. There are 130 nuclear reactors in operation in 14 EU countries. Each EU country decides alone whether to include nuclear power in its energy mix or not. The peaceful use of nuclear energy within the EU is governed by the 1957 Euratom Treaty, which established the European Atomic Energy Community (Euratom). While Euratom is a separate legal entity from the EU, it is governed by the EU's institutions. Also see European Atomic Energy Community Wikipedia article. Exxon Valdez Oil Spill Trustee Council - This site, by the Exxon Valdez Oil Spill Trustee Council, provides information about the impacts of the oil spill, the injury and recovery of fish, wildlife, and people of the spill region, and information about ongoing restoration and research activitites. FedLaw: Energy and Utilities - Federal laws and regulations and U.S. Code sections dealing with energy and utilities. Frack Off (UK) - Want to know more about fracking and the threat it poses to your community, the UK and the planet? Want to get organized? Want to take action? This is the place. FracTracker Alliance - Supports groups across the United States, addressing pressing extraction-related concerns with a lens toward health effects and exposure risks on communities from oil and gas development. Provide data, ground-breaking analyses, maps, and other visual tools to help advocates, researchers, and the concerned public better understand the harms posed by hydrocarbon extraction. Get Energy Smart! NOW - Blogging for a sustainable energy future. Glossary of Energy Terms - Terms used primarlily in the PV industry, though the glossary includes some terms used in general renewables and some from the conventional energy world. Great Plains Tar Sands Resistance - A coalition of Great Plains organizations and individuals dedicated to using direct action to stop tar sands transportation, like the Keystone XL pipeline, and extraction infrastructure in the heartland of North America. Jason Howard - The coauthor of Something's Rising: Appalachians Fighting Mountaintop Removal. His features, essays and reviews have appeared in such publications as The Nation, Sojourners, Paste, No Depression and The Louisville Review, and his commentary has been featured on NPR. Keystone XL Pipeline Project - A pipeline system to transport synthetic crude oil and diluted bitumen ("dilbit") from the Athabasca oil sands region in northeastern Alberta, Canada to multiple destinations in the United States, which include refineries in Illinois, the Cushing oil distribution hub in Oklahoma, and proposed connections to refineries along the Gulf Coast of Texas. Also see Draft Supplementary Environmental Impact Statement (SEIS) and Wikipedia. Land and Water Fund (LAW Fund) - The Land and Water Fund of the Rockies (LAW Fund) is an environmental law and policy center serving the Rocky Mountain and Desert Southwest region. The LAW Fund works proactively for innovative policy reform, and provides extensive legal and strategy support to grassroots groups and coalitions. Areas of expertise include energy, land, and water issues. McGill Research Group Investigating Canadian Mining in Latin America (MICLA) - MICLA is a research collective based at McGill University in Montreal, Canada. It aims to resource public research and debate on Canadian Mining in Latin America. Composed of students and faculty, MICLA is part of the University's on-going effort to link teaching with research and to connect these to the public interest. Mineral Policy Institute - Information on mining, environment,and human rights. Mining Watch Canada - A pan-Canadian initiative supported by environmental, social justice, Aboriginal and labour organisations from across the country. It addresses the urgent need for a co-ordinated public interest response to the threats to public health, water and air quality, fish and wildlife habitat and community interests posed by irresponsible mineral policies and practices in Canada and around the world. MJM Energy - Offers consultancy, publishing and training services relating to commercial, technical and regulatory aspects of energy markets worldwide. Move America Beyond Oil - It's time to break the chain - the chain of America's dependence on oil. How? By building a new economy based on clean energy. NacStop - East Texans joining together to stop tar sands oil. National Energy Policy - Report of the U.S. National Energy Policy Development Group (appointed by President Bush) "designed to help bring together business, government, local communities and citizens to promote dependable, affordable and environmentally sound energy for the future." National Resources Defense Council (NRDC) - Hundreds of environmental and energy resources including news, legislative updates, scientific research, policy analyses. North American Electric Reliability Council (NARUC) - A non-profit organization founded in 1889. Its members include the governmental agencies that are engaged in the regulation of utilities and carriers in the fifty States, the District of Columbia, Puerto Rico and the Virgin Islands. NARUC's member agencies regulate the activities of telecommunications, energy, and water utilities. NARUC's mission is to serve the public interest by improving the quality and effectiveness of public utility regulation. Northwest Energy Coalition - Brings together member organizations and informed activists to speak out for clean, affordable energy and wild salmon at public hearings, through letter-writing campaigns, and other community involvement opportunities. Nuclear Information and Resource Service (NIRS) - Information and networking center for citizens and environmental organizations concerned about nuclear power, radioactive waste, radiation, and sustainable energy issues. Oil and Gas Law - Washburn University School of Law Library compilation of oil, gas and energy law, projects and services, associations, national labs, and federal government resources and sites. Oil Change International - Campaigns to expose the true costs of oil and facilitate the coming transition towards clean energy. Dedicated to identifying and overcoming political barriers to that transition. Oil Depletion Analysis Centre (ODAC) - Working to raise international public awareness and promote better understanding of the world's oil-depletion problem. Biweekly updates on peak oil/gas and related subjects such as geopolitics, food production and alternative energy are available from the Newsletter. Also see the Reports and Resources section. Oil Drum - Forum for discussion and research on increased energy demand and the depletion of older oil fields, issues surrounding the decline of total world oil production, the impact of this supply shortfall, feasibility of alternatives to oil and the like. Oil Watchdog - Consumer Watchdog's OilWatchdog.org exposes the industry's corporate influence and misdeeds. It highlights a path to energy that is cleaner and cheaper than the true cost of oil and coal. Oilwatch - A network of resistance to the negative impacts of oil and gas industry activity on peoples and their environment. Oilwatch members support all initiatives of local peoples to resist fossil fuels activities. 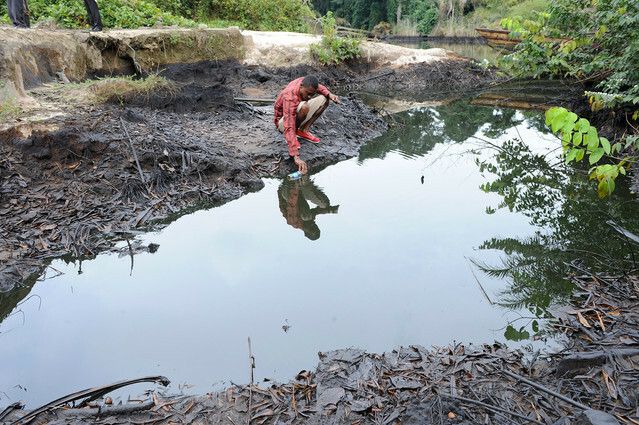 These initiatives include monitoring of devastation and violation that arises directly or indirectly from oil activity, and support for local demand for compensation and restoration. Platform London - Platform's campaigns focus on the social, economic and environmental impacts of the global oil industry. Post Carbon Institute - A tank offering research, project tools, education and information to implement proactive strategies to adapt to an energy constrained world. The development of Post Carbon Institute came out of concern for the environmental, social, political and economic ramifications of global over-reliance on cheap energy. The Post Carbon Institute's main response to these concerns is the strategy of relocalization, which aims to rebuild societies based on the local production of food and energy, and the Relocalization of currency, governance and culture. The main goals of relocalization are to increase community energy security, strengthen local economies, and dramatically improve environmental conditions and social equity. Preserve Our Paradise - Responding to extreme extraction in Florida. Project Underground - A vehicle for the environmental, human rights, and indigenous rights movements to carry out focused campaigns against abusive extractive resource activity. Deals with problems created by the mining and oil industries by exposing environmental and human rights abuses by corporations involved in these sectors and by building capacity among communities facing mineral and energy development to achieve economic and environmental justice. Publish What You Pay - The Publish What You Pay campaign aims to help citizens of resource-rich developing countries hold their governments accountable for how revenues from the oil, gas and mining industries are managed and distributed. In countries such as Angola, Indonesia, Kazakhstan, Nigeria and Venezuela, full transparency of the payments made by natural resource companies to governments will enhance efforts to improve government accountability of the management of revenues, which should be an engine of economic growth and human development rather than a cause for worsening poverty, corruption, conflict and social divisiveness. The campaign, backed by a worldwide coalition of over 170 non-governmental and civil society organisations, was founded by Global Witness, George Soros's Open Society Institute, CAFOD, Oxfam UK, Save the Children UK, and Transparency International UK. The coalition calls for international regulation requiring the disclosure of net taxes, fees, royalties and other payments made by companies to developing country governments in all countries where they operate. RAMPS - A non-violent direct action campaign based in the southern coal fields of West Virginia dedicated to ending all forms of strip mining in Appalachia. RAND Research Area: Environment and Energy - RAND's environmental and energy work builds on a long history of research on regulatory issues and reflects a problem-solving approach of balancing concerns for environmental protection with economic development and government requirements. Refinery Reform - A national campaign seeking to clean up U.S. oil refineries and reduce America's dependence on fossil fuels. Resources for the Future (RFF) - A nonprofit and nonpartisan organization that conducts independent research - rooted primarily in economics and other social sciences - on environmental, energy, natural resource and environmental health issues. Revenue Watch Institute - A non-profit policy institute and grantmaking organization that promotes the effective, transparent and accountable management of oil, gas and mineral resources for the public good. Safe Energy Communication Council (SECC) - Originally established as the environmental community's response to the nuclear industry's public relations campaign following the Three Mile Island accident, SECC collaborates with and draws on the expertise of its diverse member groups to affect energy policy at the national, state and local level. The Council works to empower grassroots activists through information dissemination, technical assistance and media training. Sustainable Energy & Economy Network (SEEN) - A project of the Institute for Policy Studies (Washington, D.C.) and the Transnational Institute (Amsterdam). Works in partnership with citizens groups nationally and globally on environment, human rights and development issues with a particular focus on energy, climate change, environmental justice, gender equity, and economic issues, particularly as these play out in North/South relations. Tar Sands Blockade: Stop Keystone - A direct action campaign designed to pressure the state of Texas to reject the Keystone XL pipeline and to inspire communities along the pipeline's path to organize their own direct actions to block the pipeline. Today in Energy - Energy news provided by the U.S. Energy Information Administration. Trade Unions for Energy Democracy - A global, multi-sector initiative to advance democratic direction and control of energy in a way that promotes solutions to the climate crisis, energy poverty, the degradation of both land and people, and the repression of workers' rights and protections. TURN (the Utility Reform Network) - Advocating for California's utility consumers, saving customers millions of dollars. This site is designed to empower consumers to demand lower rates and quality services. Utility Consumers' Action Network - San Diego consumer group advocating on behalf of residential and small business consumers in the areas of energy, telecommunications, gasoline, Cable TV, banking and Internet-related issues. Provides useful information for consumers, policymakers and the media about these regulated or quasi-regulated industries. This webpage last updated on Tuesday, November 6, 2018 5:10 PM.